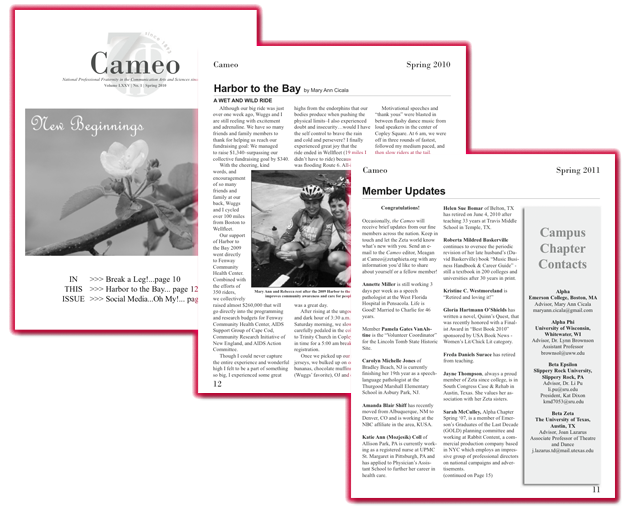 The Cameo is the official publication of Zeta Phi Eta. It is published between two to four times a year and sent to all members of the Fraternity in good standing. To ensure you continue to receive your copy please keep your dues payment current. 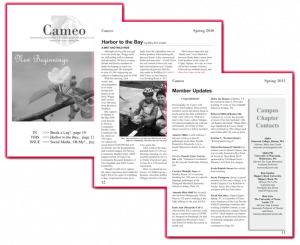 News items, story ideas, member updates and photographs are always welcome.